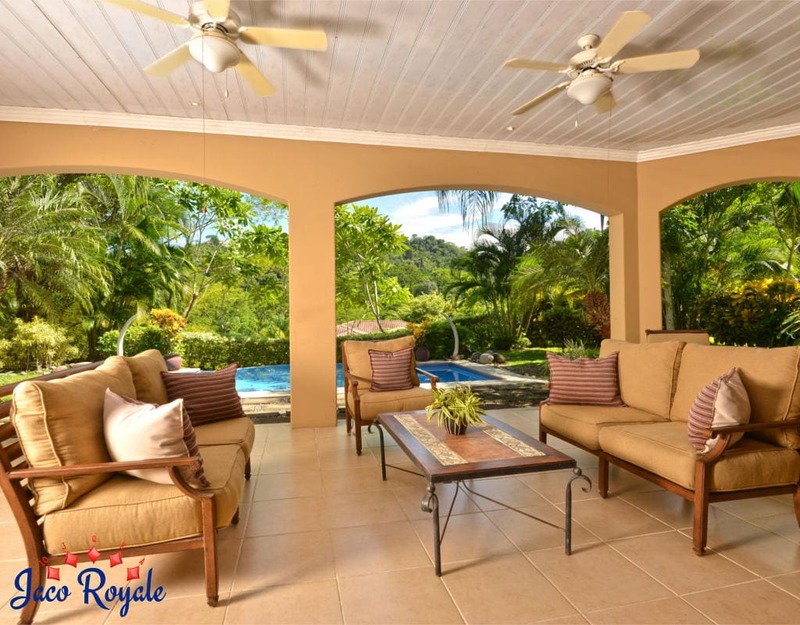 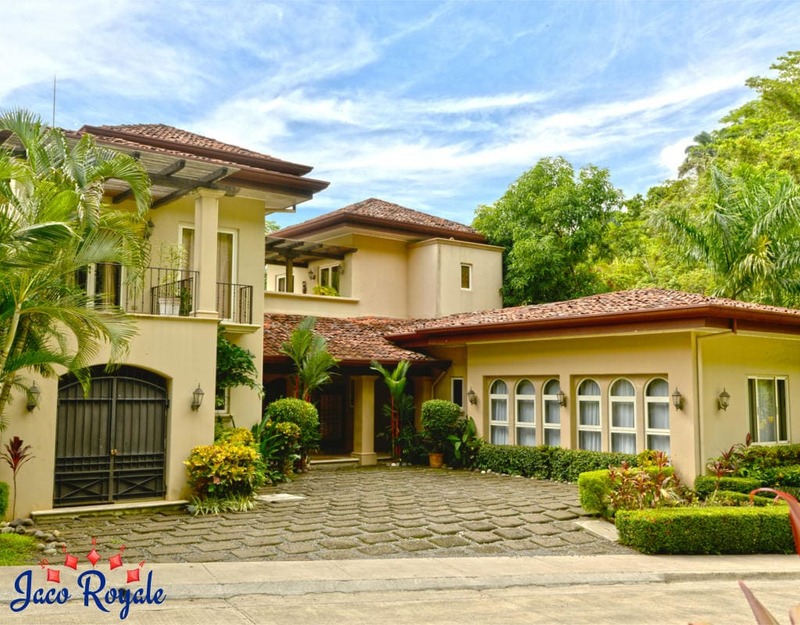 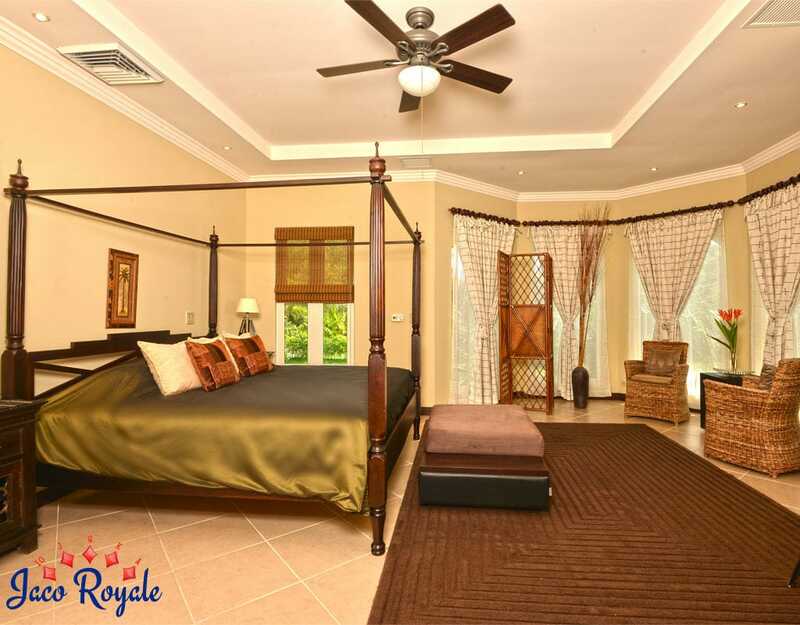 Let the special event in your life take on epic proportions at the sumptuous Royale Yellow in the seclusion of a fully gated community. 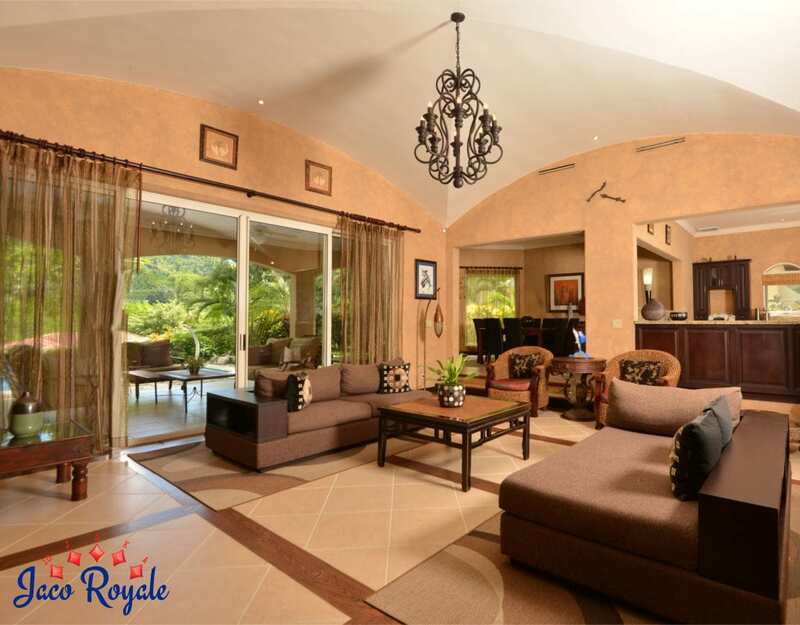 Nestled within the scenic environs of a rainforest, Royale Yellow is a 7000 sq ft no-holds-barred resort. 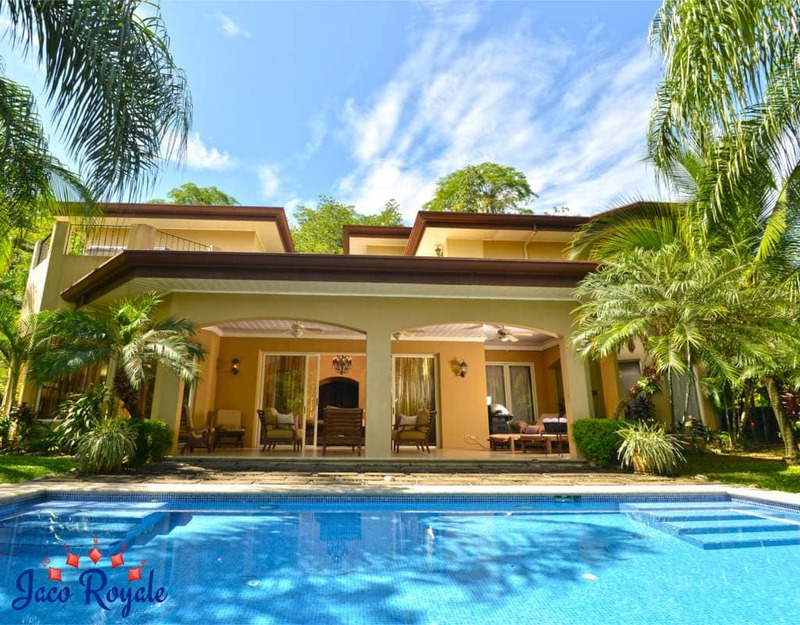 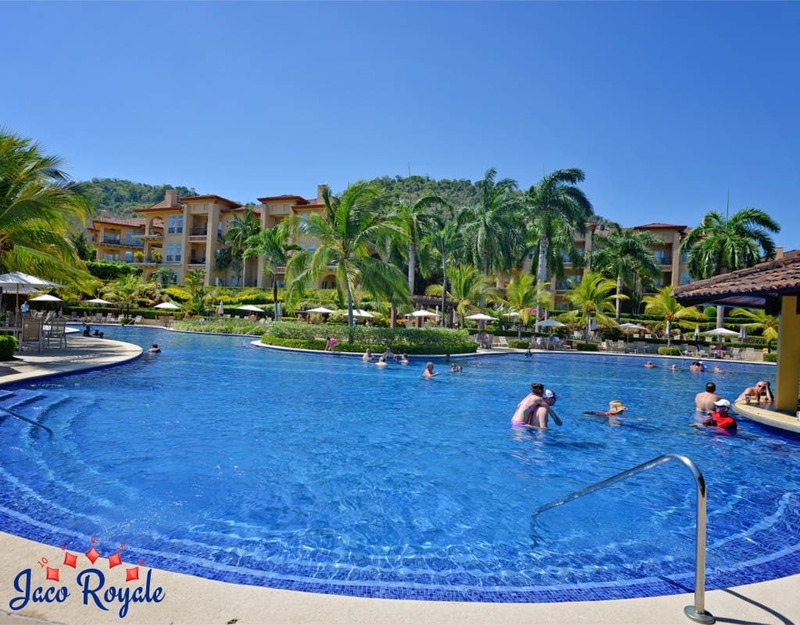 Majestic in appearance and abundant in modern comforts, Royale Yellow is a splendid choice for a luxury vacation in Costa Rica. 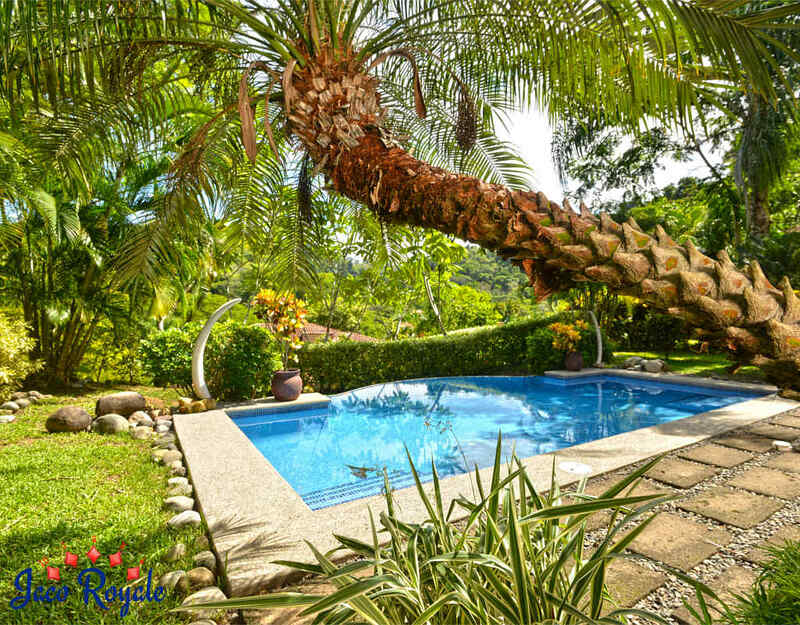 The free-form pool surrounded by tropical gardens is the first alluring sight that greets visitors entering the property. 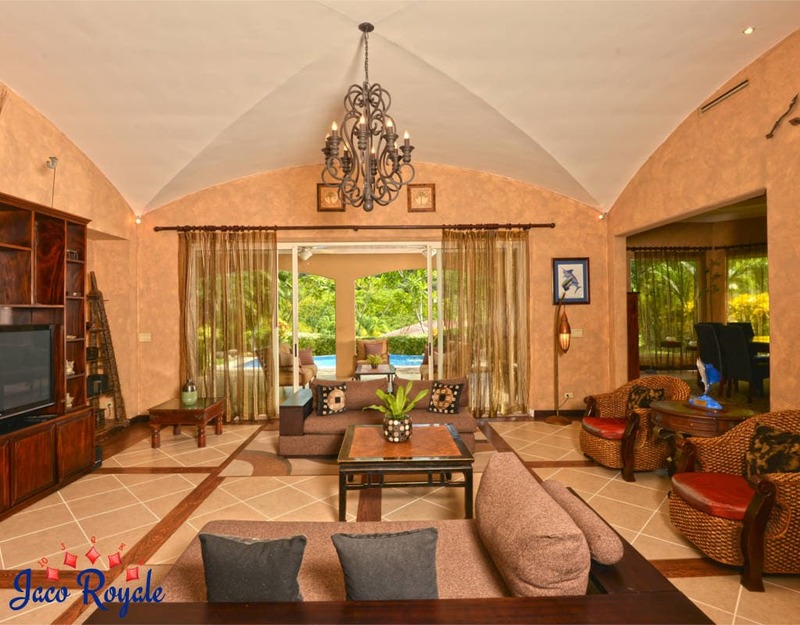 A tastefully done patio overlooking the pool leads to a generously spaced living room with African-style interior design. 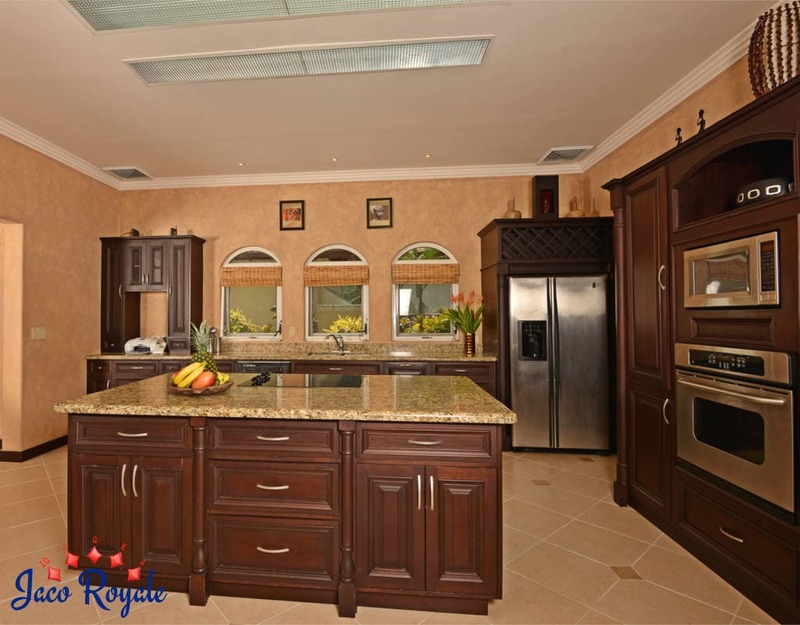 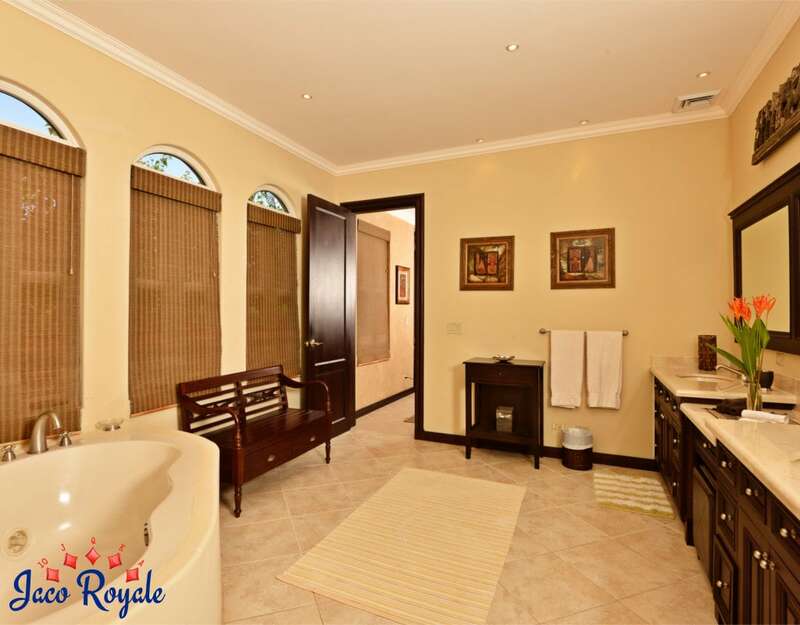 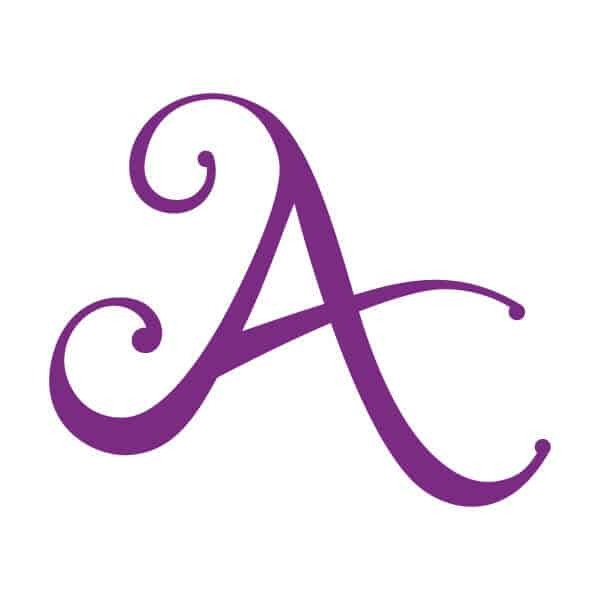 Aesthetically furnished and fitted with private bathrooms, all the five bedrooms in the property are designed to give you a princely feel and all the privacy you need. 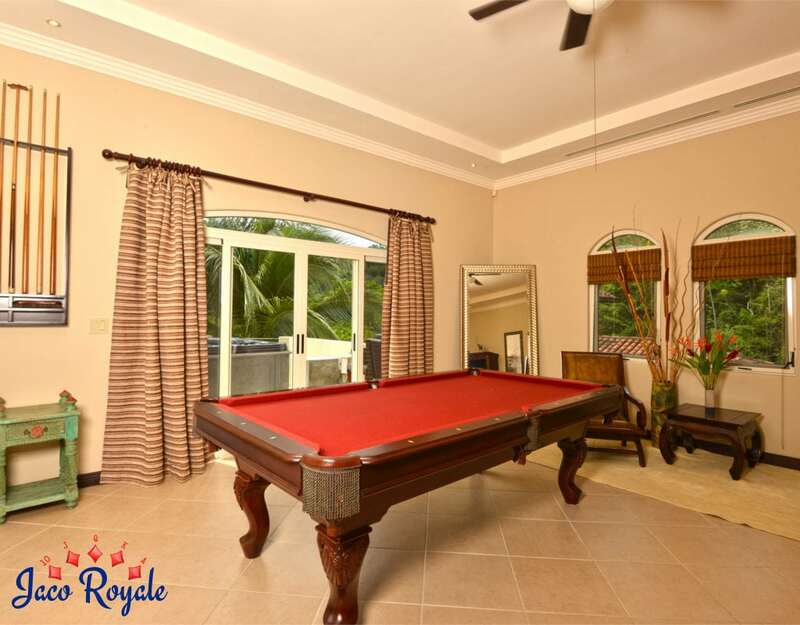 The entertainment room on the top floor doubles up as a party area along with the rooftop terrace.